Bob Church is organising a competition to raise money for The Parkinson’s Charity to be held at Pitsford on 28thApril. 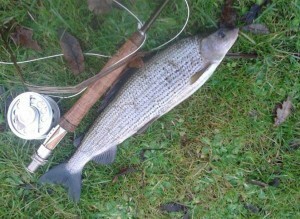 The cost is £57.50 which includes 8 fish ticket, boat and meal with prize giving afterwards at The Royal Oak, Walgrave. Please support this event if you are able to. Click on the link below to open the letter of invitation from Bob. Has your old Invicta cap become faded and tatty, or perhaps you have not had one before? 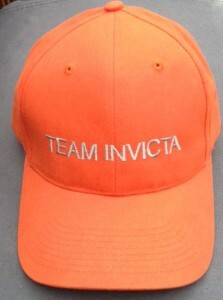 The club now has a new stock of the ‘Team Invicta’ cap for sale. These distinctive ‘one size fits all’ caps are available from Alan Prevost at the bargain price of £8. Drop Alan an email or give him a call (01954 230678) and he will make sure you get one. Invicta FFC tries to offer occasional river fly fishing trips to members. 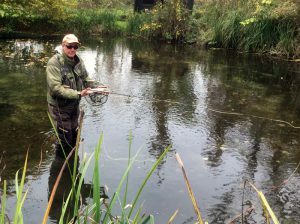 Primarily these are autumn/winter Grayling fishing trips although occasional summer trout fishing is sometimes possible. The number of anglers allowed on river beats is often limited and places on the trips will be on a first come basis. Anyone interested in trips can lodge their interest or obtain more information from Paul Heavens. Two of the Clubs annual Trophies are for the heaviest rainbow and the heaviest Brown trout caught by an Invicta member on a day ticket reservoir. If you catch a fish which you think may be in contention, please fill in the form and email Gary How and copy Mark Searle into the email. Alternatively the form can be posted. The fish must be weighed and the weight witnessed by a second person and should ideally be accompanied by a photograph of the fish being held or placed beside something such as the rod handle and reel to give it scale. Brown Trout must be in season to qualify. Forms are available on the Trophy Winners webpage. The Invicta FFC Facebook page can be accessed by clicking on the Facebook symbol at the bottom right hand side of the footer on every page or the ‘Find us on Facebook’ symbol on the left. The page has been set up and is hosted by Andy Newman and gives those joining it the opportunity to read comments left by other members and post messages of their own. So for example if you have visited a fishery that impressed you; know that a particular event is happening or just have some thoughts you wish to air, why not share it with others. Usual rules of common sense apply i.e. nothing offensive or libelous.